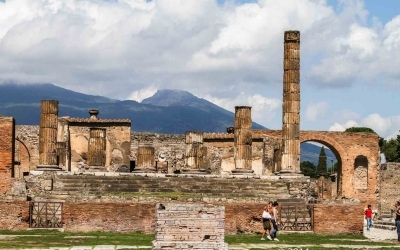 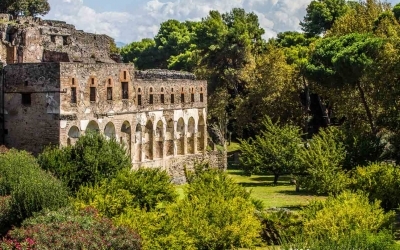 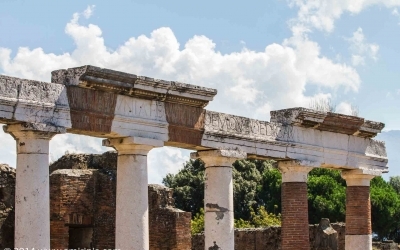 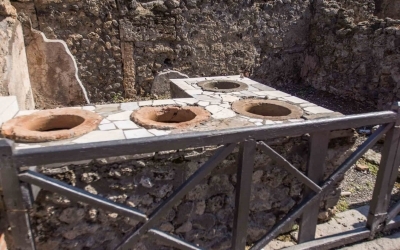 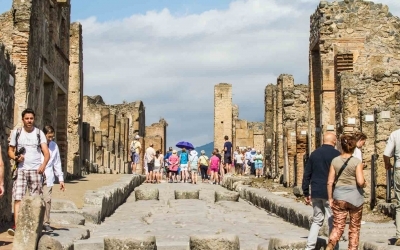 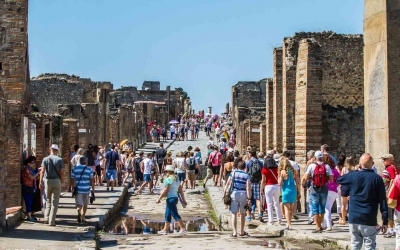 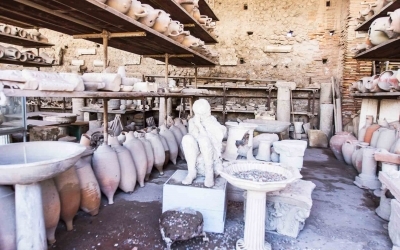 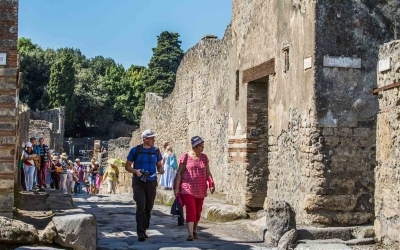 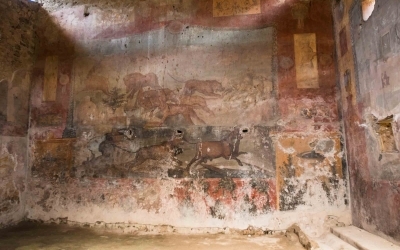 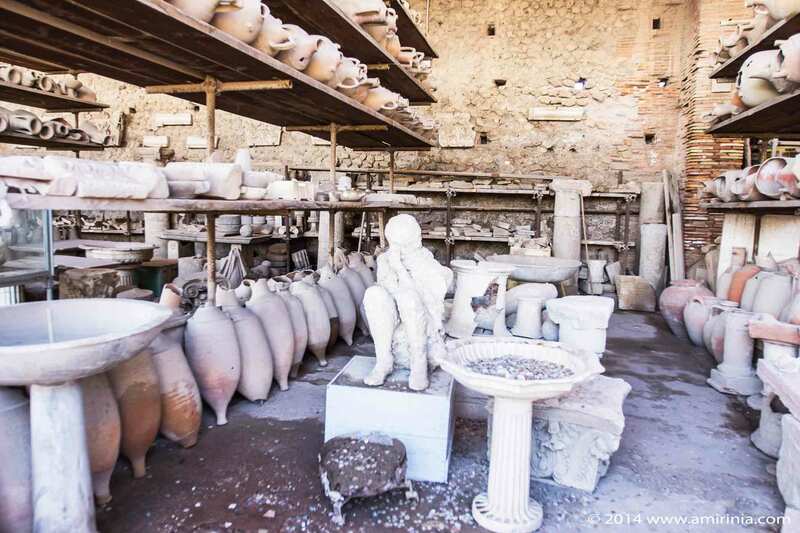 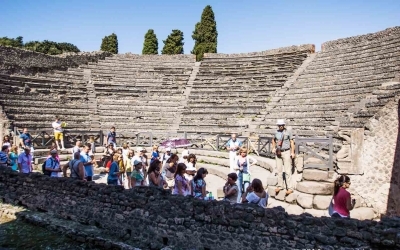 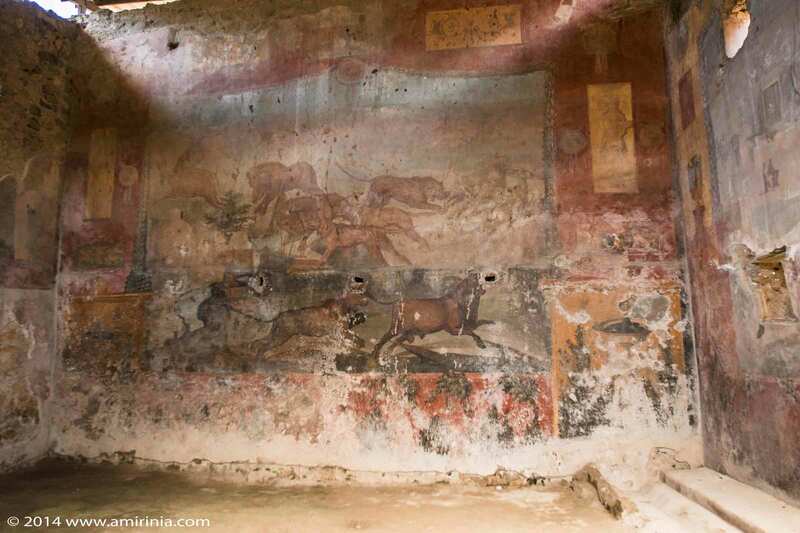 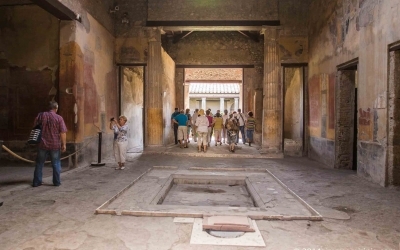 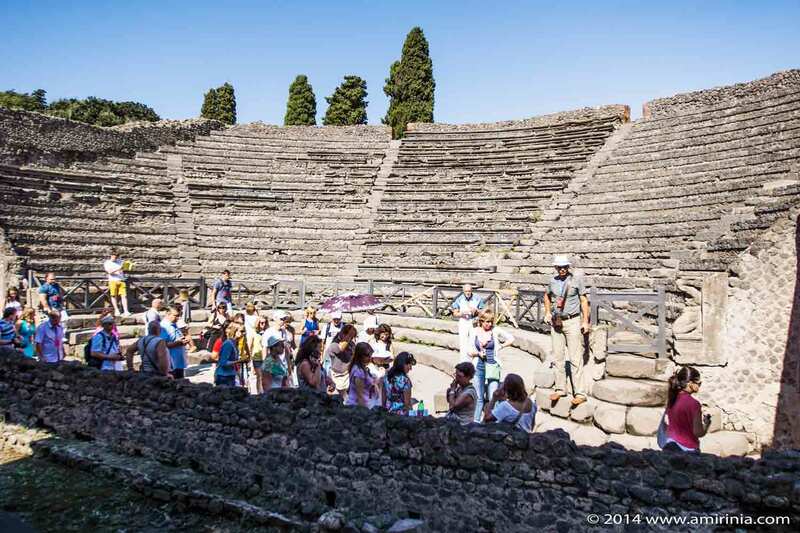 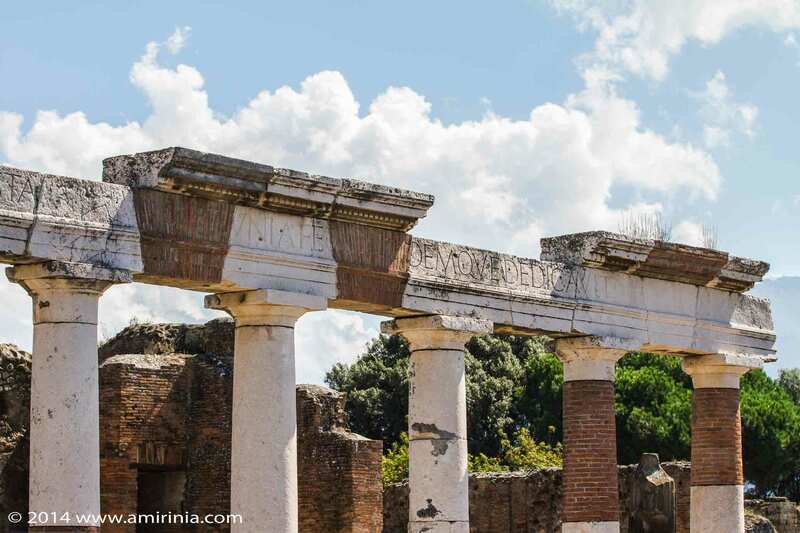 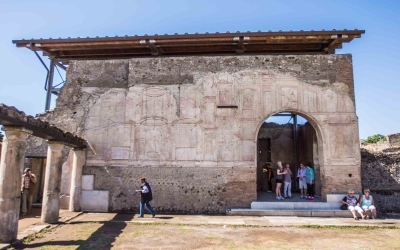 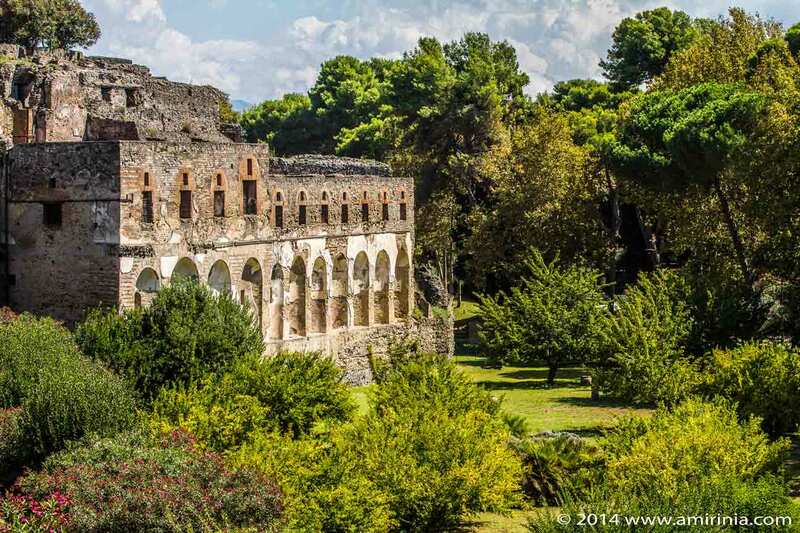 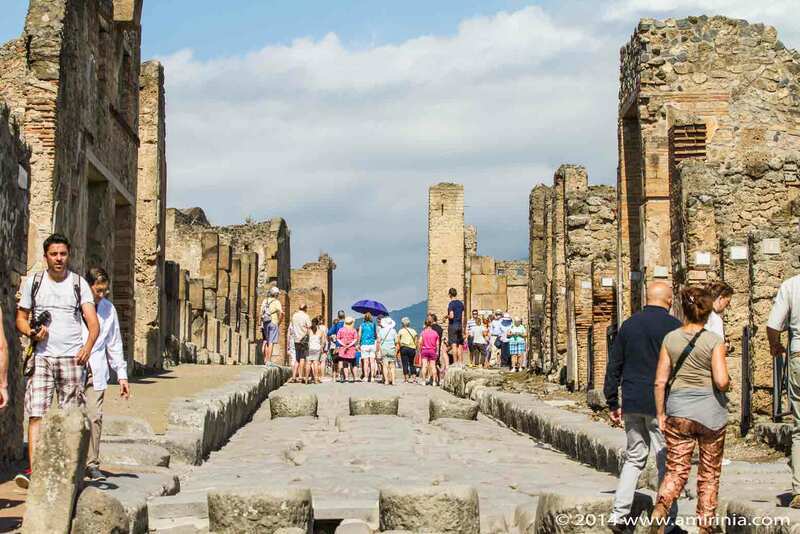 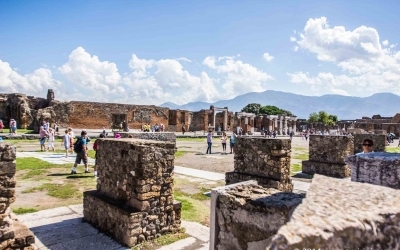 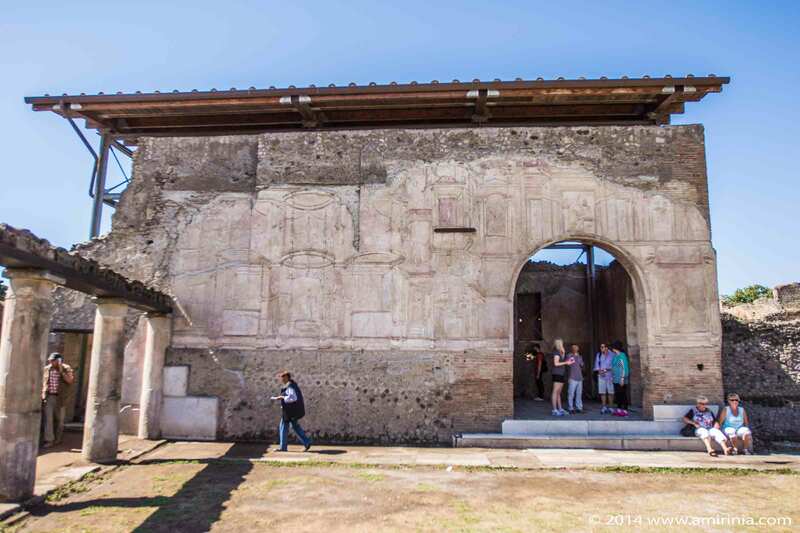 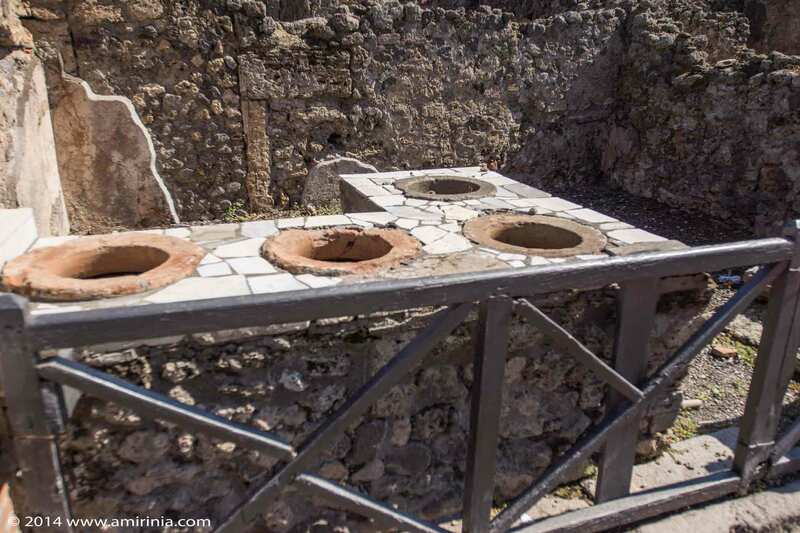 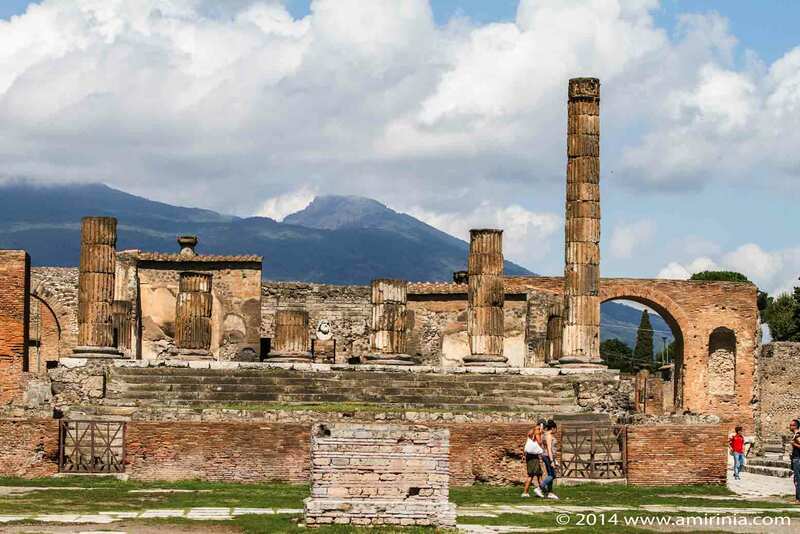 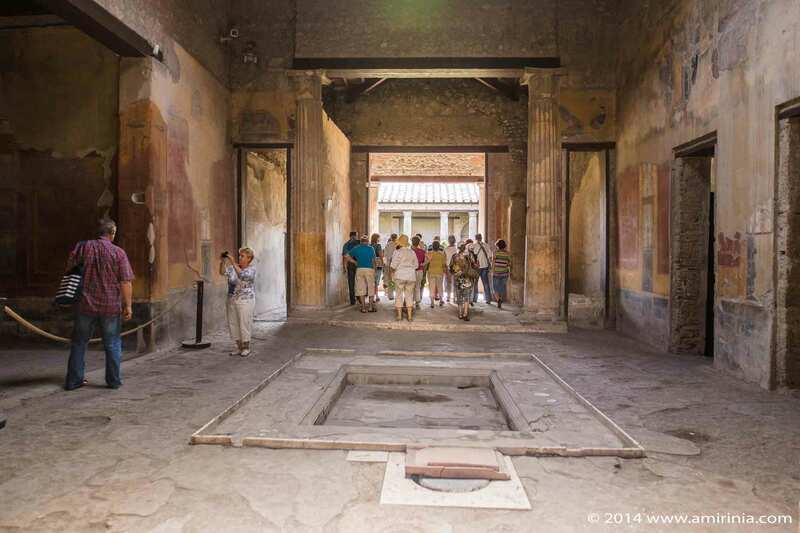 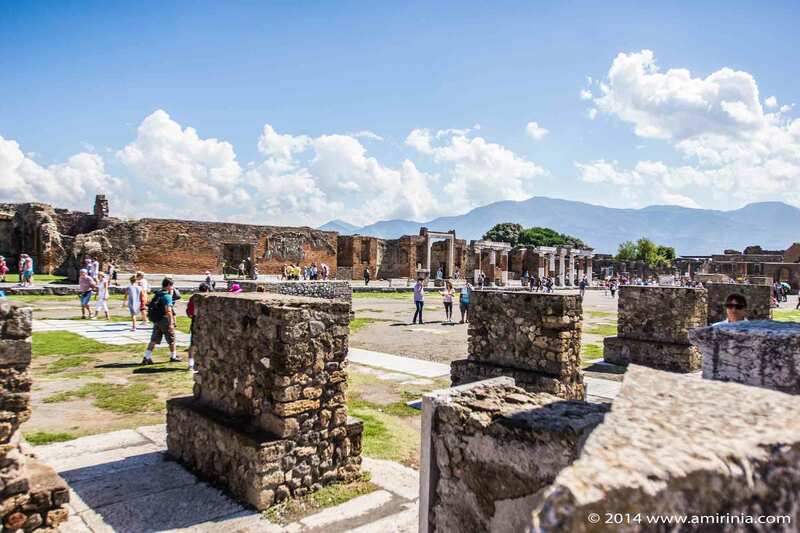 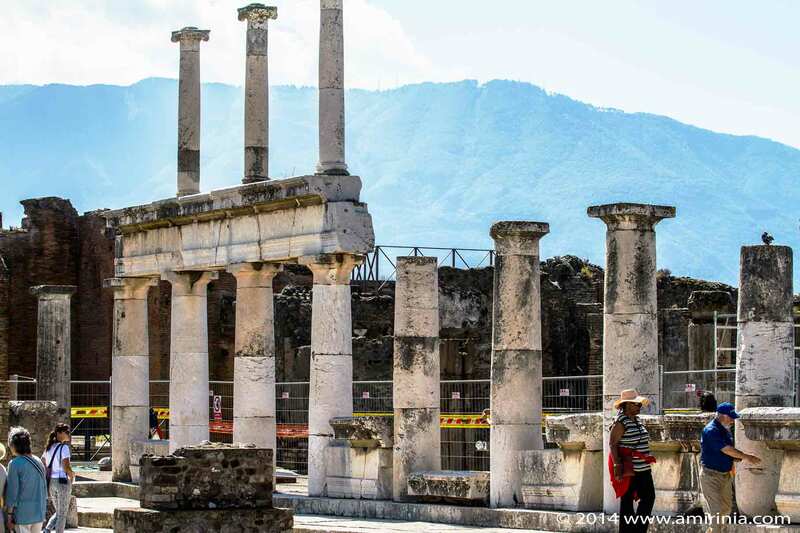 The archaeological site of the ancient Roman city of Pompeii which, covering about 64 hectares, is a city frozen in time – 79 AD to be precise. 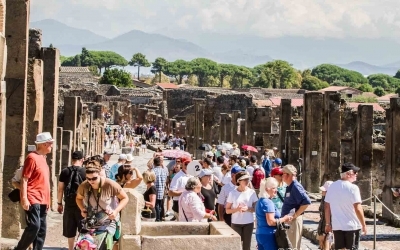 It was excavated from six metres of volcanic ash 400 years ago and, since then, has attracted visitors from all over the world. 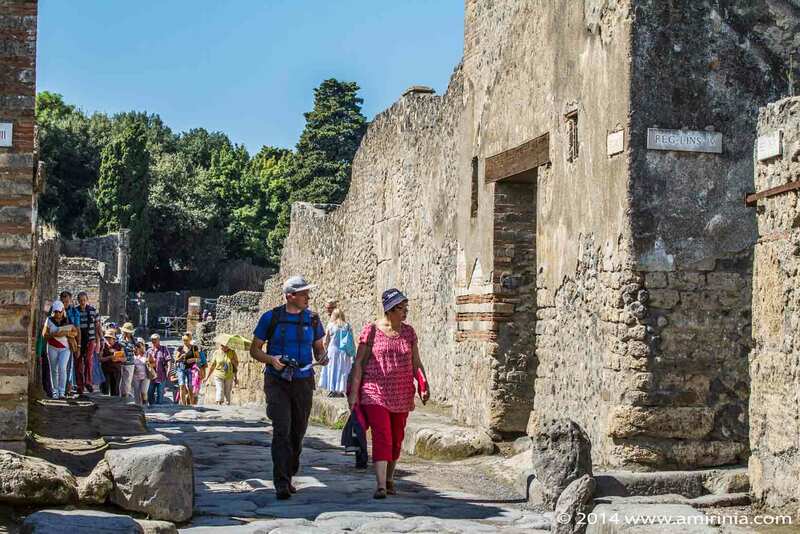 I was walking in history as I strolled on raised pavements in the cobble paved streets and narrow roads, amazingly arranged in a very orderly manner according to a systematic urban plan.